A Navy study of a proposal to build destructive training ranges on the Western Pacific islands of Pagan and Tinian leaves many questions unanswered about the project’s potential impact on the environment and affected communities. Federal agencies and environmental groups have criticized the 1,388-page draft environmental impact statement for overlooking critical information about how the plans would affect residents and water supplies, as well as historic sites and rare species of coral. But while the island is technically public land, it’s part of a recognized political district made up of undeveloped islands with a mayor and representation on a municipal council. 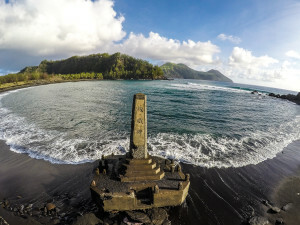 Even though Pagan’s population is small and transient, its residents consider the island their home and have for decades. The U.S. Environmental Protection Agency says the Navy study also failed to mention the potential for rocket fuel and other munitions to contaminate the aquifer on Tinian, a small island that’s home to just 3,100 people. This historic Japanese gate on Tinian would be destroyed by a planned artillery range if the Navy moves forward with its plan to use it as a practice area for grenades, mortars and other weapons. “The analysis does not appear to fully consider the highly permeable Mariana limestone, which underlies most of the project area and creates high susceptibility to contamination,” the EPA wrote in critical comments of the project. There was also little discussion in the Navy’s study of how the military would make up for the damage caused by training, including the destruction of coral reefs and harm to hundreds of historic sites eligible for the National Register of Historic Places. “We find the Draft EIS woefully lacking in its evaluation of these impacts,” Brian Turner, an attorney at the National Trust for Historic Preservation, wrote in his comments. Federal agencies and other organizations found the Navy’s analysis was plagued with missing information on issues ranging from how the Navy would handle hazardous waste to how noise from Navy training could be worsened by concurrent training activities. 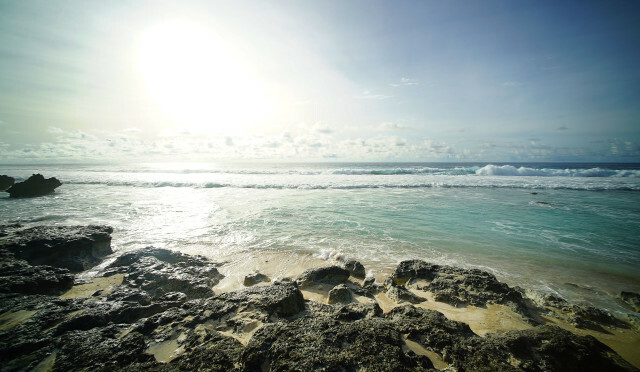 The Navy plans to train on this beach on Tinian. “To make a valid assessment of the effects of any project, a baseline must be developed against which project effects are measured … For many resource areas and actions within this (environmental impact statement) this basic premise is ignored,” wrote Jim Keany, biological resources director of Environmental Science Associates, in comments on the project. The plan for live-fire training ranges on Tinian and Pagan is the latest of four proposals released over the past decade to ramp up military training in the Mariana Islands, a Western Pacific archipelago made up of Guam and the Commonwealth of the Northern Mariana Islands, which includes Tinian and Pagan. The EPA criticized the initial drafts of every training proposal for not providing enough information on potential impacts. 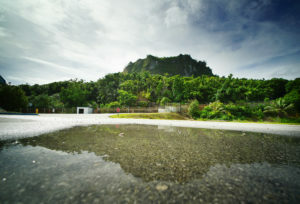 For the plan to build a Marine Corps base on Guam, the Department of Defense conducted more studies and ended up reducing the size of the Guam buildup and investing in the island’s infrastructure to address concerns. 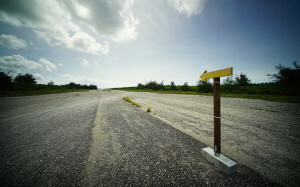 On Tinian, the Air Force removed fighter jets from a plan to build an airfield, further analyzed the plan’s impact on the local water supply and proposed installing more wells. 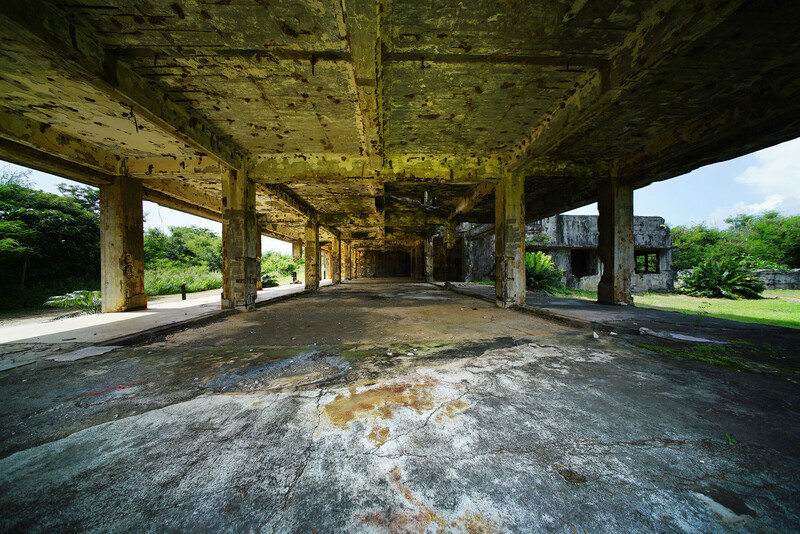 This structure left behind by the Japanese military is one of many historic sites on Tinian. But the Navy moved forward with its plan to use explosives and sonar across nearly 1 million square miles around the Marianas despite concerns that it relied on limited data and underestimated the harm to marine mammals. How the Navy will address worries about the proposed live-fire training ranges on Tinian and Pagan is not yet known. After receiving about 30,000 comments about the project, the Navy agreed to conduct more studies and intends to release a new environmental analysis next spring. This is where the Navy wants to conduct bombing practice on Pagan. Islanders hope the new version fills the data gaps, but that’s not their only concern. The onslaught of training plans has been confusing and frustrating to many who say the separate proposals make it hard to figure out the overall impact of the training increases. 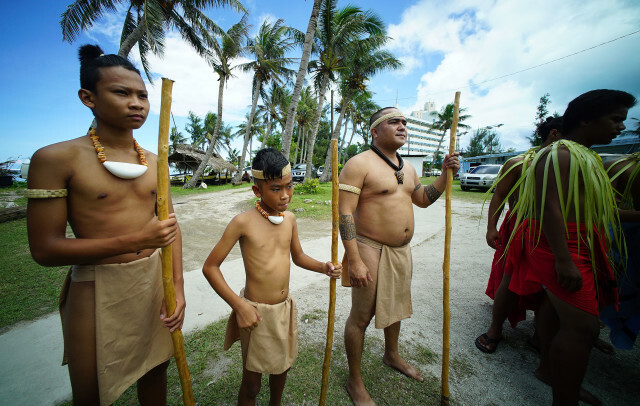 “They’ve basically segmented up all these projects and made it difficult to get a good grasp of what’s happening,” says Leevin Camacho, an activist with the group We Are Guahan, the indigenous Chamorro name for Guam. Craig Whelden, executive director of Marine Corps Forces Pacific, says the proposals for bombing ranges on Pagan and Tinian were done separately from the proposal for the Guam buildup because they are indirectly, not directly, related to the relocation of Marines to Guam. 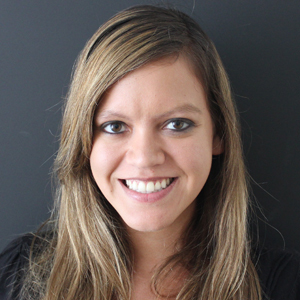 That’s an important distinction because environmental law says connected, cumulative and similar action actions must be reviewed in the same environmental analysis. Whelden also says the proposals represent different levels of training. 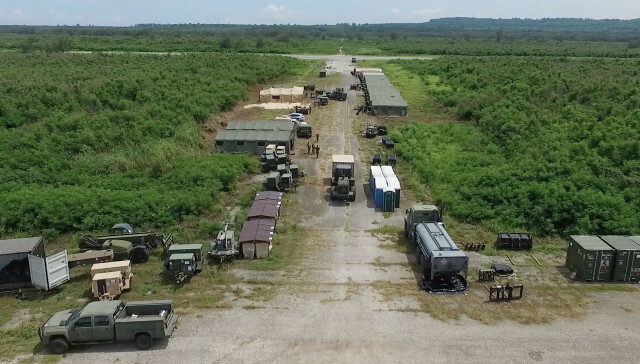 In July, Earthjustice and the Center for Biological Diversity joined local community groups and sued the Navy over the live-fire training ranges on Tinian and Pagan, contending that they should have been studied when the Navy decided to build a Marine Corps base on Guam. The Navy is seeking dismissal of the lawsuit, citing lack of standing, among other issues. 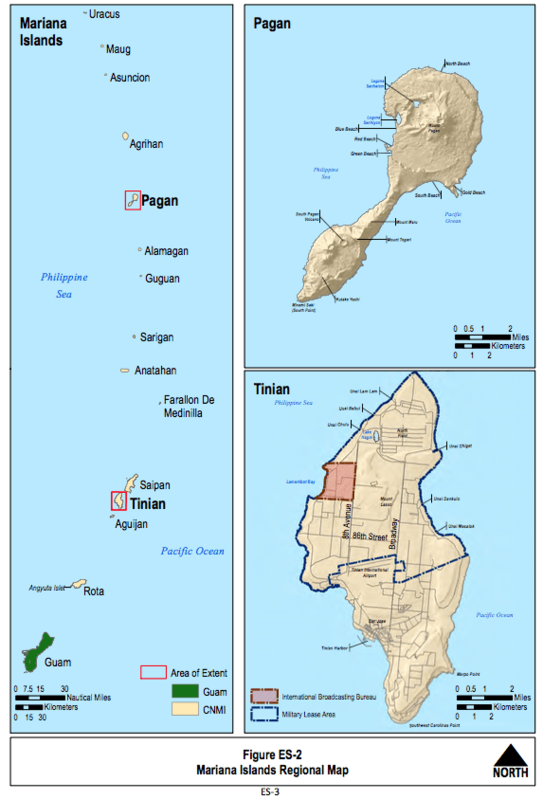 This map shows the Navy’s plans to increase training on Tinian and Pagan. It’s one of several plans to increase training that the Department of Defense has proposed over the past six years. 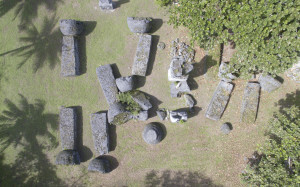 Matthew Adams, a Washington D.C.-based attorney who has been hired by the commonwealth to evaluate the proposals for Tinian and Pagan, agrees with Camacho about the segmented nature of the projects. “I think that there’s a real danger that the impacts of the fundamental change will get lost in 12 to 15 years of studies that look at smaller pieces of the puzzle,” says Adams. He also says the Navy needs to fill the holes in its draft analysis of the training planned for Pagan and Tinian. In the past, the Navy has moved ahead with training despite concerns that not enough information was available to assess its effects. 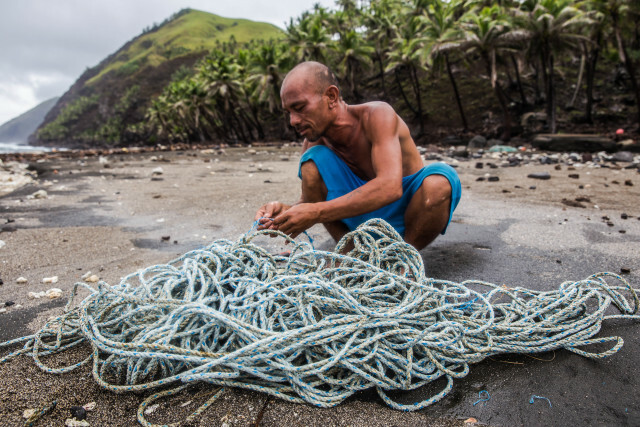 Last year the Navy got approval from the National Marine Fisheries Service to use nearly 1 million square miles surrounding the Mariana Islands, extending sonar and explosive training and testing that’s been ongoing for years. Attorneys from Earthjustice and the Natural Resources Defense Council say that the Navy is engaging in war games without obtaining enough information about whales and dolphins that live in the region. The Navy uses a detailed modeling system that takes into account several factors to determine how marine mammals are affected by training. Navy scientists say the modeling is conservative, and that there seem to be fewer whales and dolphins around the Mariana Islands than other training ranges. They say the Navy holds off on training if whales or dolphins are observed within a certain distance, and funds ongoing research. Families enjoy swimming in a beach by Guam National Wildlife Refuge, which will become a buffer zone for a machine-gun training range. Zak Smith, an attorney with the Natural Resources Defense Council, thinks the military may be underestimating the effects of undersea sonar and explosives because it doesn’t have baseline data on how big some marine mammal populations are around the Mariana Islands. For example, the military’s draft analysis of the training estimated that the undersea training and testing could kill 10 Cuvier’s beaked whales. But the report didn’t say how many Cuvier’s beaked whales live in the region. “How can you make a conclusion that there is going to be a negligible impact to that population when you don’t know how big that population is?” Smith says. The Navy has only been conducting annual surveys of marine mammal populations in the region since 2010, even though training has been ongoing for decades. Earthjustice attorney David Henkin stands on a beach on Pagan. He is suing the Navy to protect the island from bombing. He also sued to protect whales and dolphins in the waters around Hawaii. In response to a lawsuit brought by Earthjustice, the Navy agreed not to conduct underwater training exercises in certain areas that are important to whales and other species near Hawaii and California. 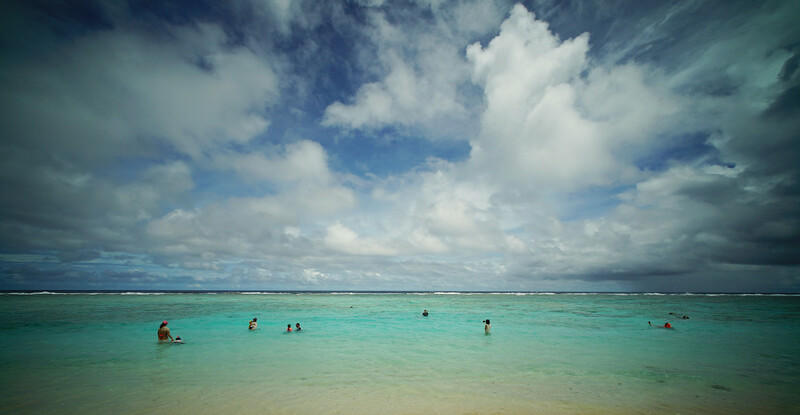 It would be difficult to adopt the same protections in the Mariana Islands because the Navy doesn’t know where all the biologically important areas are, such as breeding and mating grounds, due to the limited research. “In the (Mariana Islands Training and Testing) Study Area in particular, where there is a paucity of systematic survey data, little is known about the stock structure of the majority of marine mammal species in the region and as a result, little is known about potential critical habitat in the area,” the Navy’s environmental impact statement says. 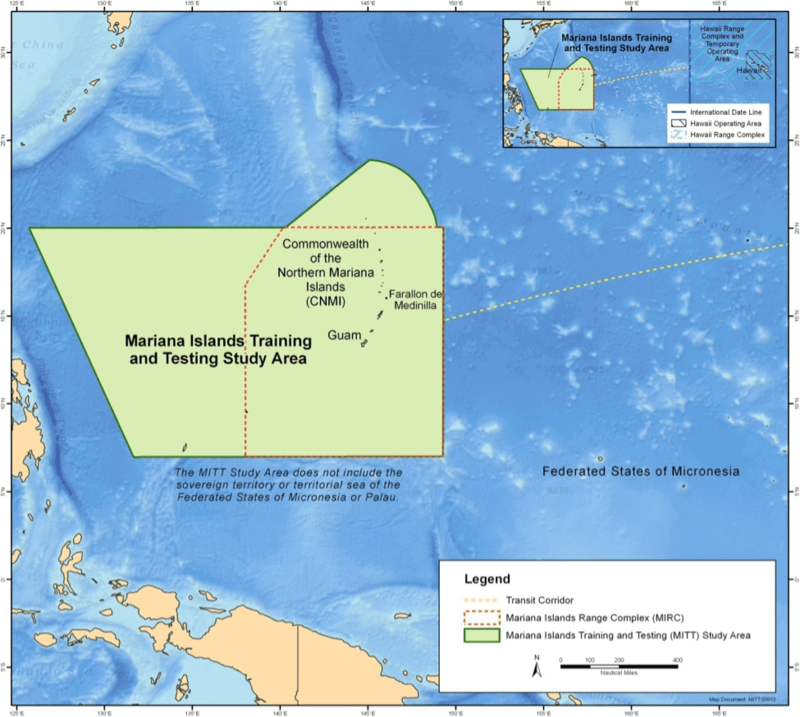 This is where undersea training and testing occurs around the Marianas. Oleson has been visiting the Marianas every year to conduct surveys, and last year found a potential humpback whale breeding ground. 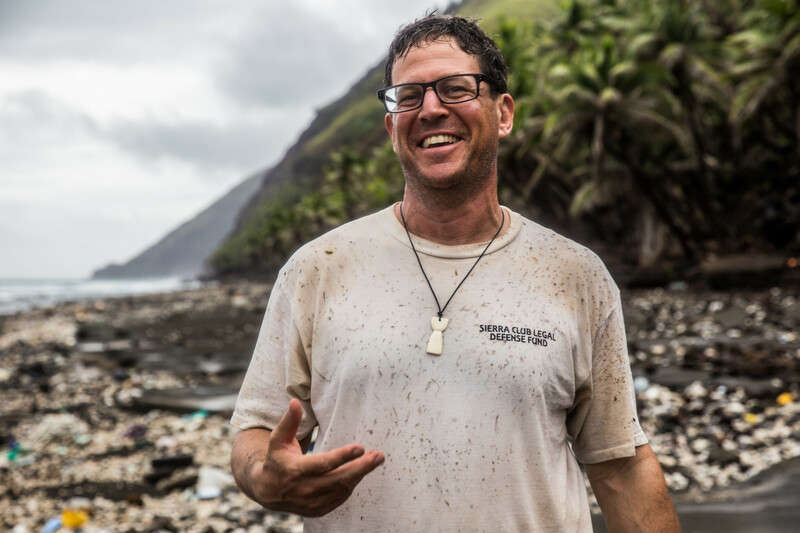 “Work in the Marianas is very much exploration,” Oleson says. Smith says more can and should be done to protect whales and dolphins in the region, and says his organization is reviewing its legal options. While the question of whether the Navy’s undersea training is overlooking dolphins and whales is debatable, the draft plan to build a bombing range on Pagan simply ignores the island’s inhabitants. 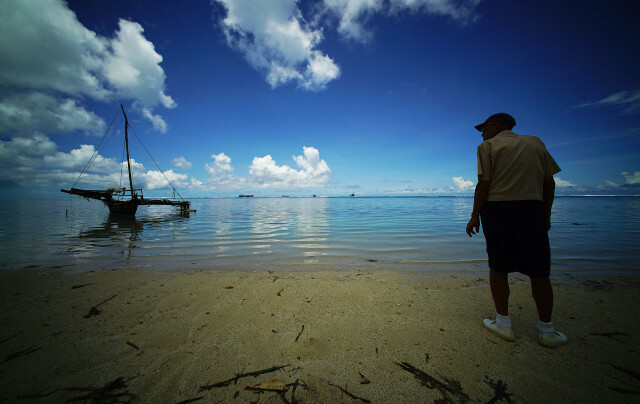 “The island remains unpopulated because of continued safety concerns,” the Navy’s draft study notes, adding that about 100 families have “personal or ancestral ties” to the island. Yet people do live on Pagan despite the threat of a volcano and the lack of infrastructure. Their numbers are small and fluctuate depending on the weather and availability of transportation. Gus Castro grew up on Pagan and is one of the transient residents who lives there for months at a time. He says he will stay there even if the Navy bombing plan is approved because he wants to protect the island. In an interview about the Navy’s plans to conduct more studies on the impact of live-fire training ranges, Whelden acknowledges the presence of Pagan residents and says the Navy is willing to look for ways to enable homesteading despite training. “They’re there and everybody recognizes that they’re there,” he says. That’s far from the only omission that residents hope the new version of the environmental analysis will address. The EPA says the Navy’s study is missing data on the kinds of coral found off two of Pagan beaches where the military hopes to train. Adams says that Navy analysis doesn’t specify how the military would move hazardous waste off of the island after training, include data on soil on Pagan, or specify how erosion would affect corals. Turner from the National Trust for Historic Preservation notes that the Navy also relied on aerial surveys for most of its analysis of cultural resources on Pagan, potentially overlooking many historic sites. An analysis of how the plans would affect rare birds and bats is also missing, says Keany, as is baseline data for marine mammal populations. 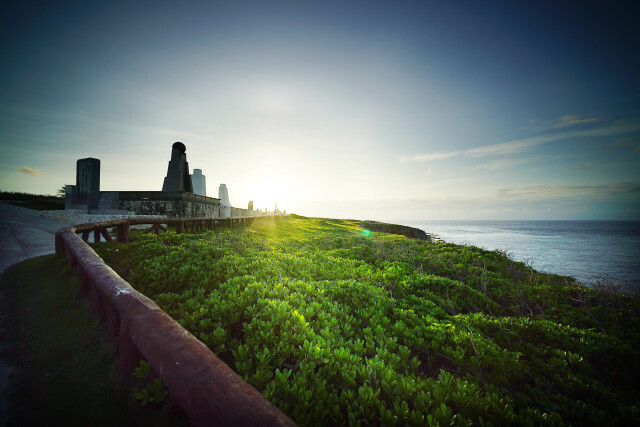 The view from Banzai Cliff in northern Saipan, where thousands of Japanese civilians and soldiers leapt to their deaths during World War II to avoid being captured by the Americans. Occasionally, whales can be seen from this cliff. 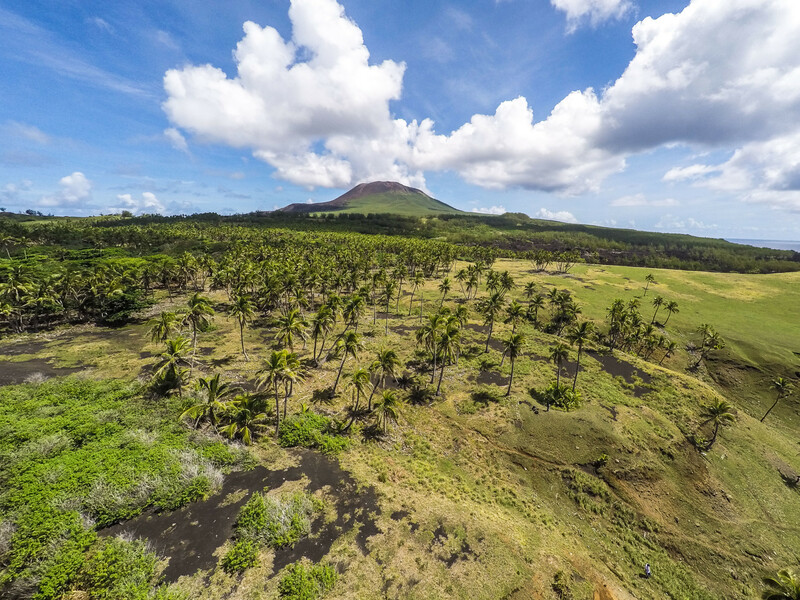 “The discussion in the (environmental impact statement) of the effects of the Navy proposal to island biodiversity is deficient, lacks any scientific credence and was developed as if the project were located at a generic mainland U.S. location,” he wrote. The EPA points out in its official comments that the environmental study also glosses over how grenades, mortars and other explosives dropped on Tinian could contaminate the aquifer. There are also questions about whether the Navy’s operations would overtax the island’s beleaguered water utility or risk increasing the salinity of the drinking water. The Navy training would also affect nearly 200 sites on Tinian that are eligible for the National Historic Register, but it doesn’t specify how that would be mitigated. 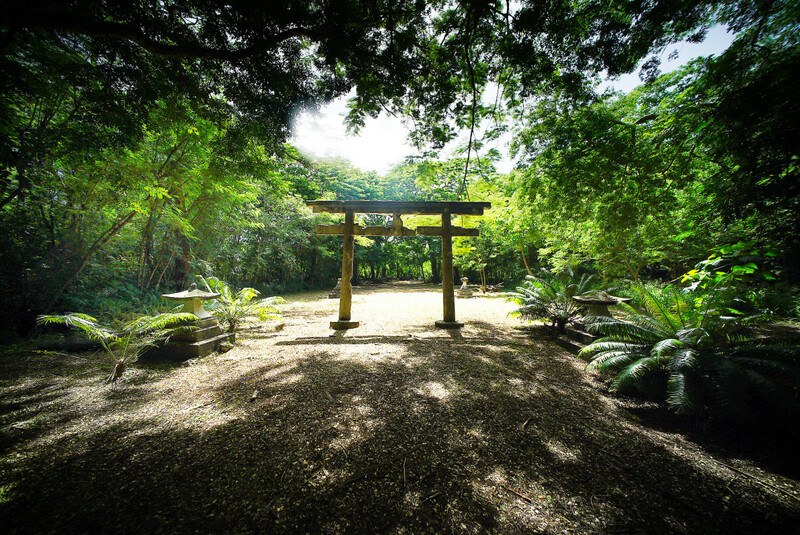 The project “would have a significant direct impact to 182 historic properties from construction and 15 historic properties from operations … These historic properties include, North Field National Historic Landmark; pre-contact latte sites; pottery scatters, and rock shelters; pre-World War II Japanese farms and shrines; World War II-era Japanese and American military sites; and potential traditional cultural properties,” the Navy’s analysis acknowledges. The study doesn’t give any idea how the Navy would temper these losses, simply noting that it will consult with local and national historic preservation agencies. In addition to harming cultural resources, there are major concerns about lack of public access. The Parks Service adds that the Navy seemingly ignored previous studies indicating how training should be curtailed around North Field. The Navy also doesn’t specify how it would address the destruction of coral species on Tinian or discuss how climate change is already stressing the coral in the region. “The EPA and interested parties cannot fully evaluate the severity of adverse effects without a reasonably complete discussion of possible mitigation measures,” the EPA wrote in its comments. Cultural dancers perform on a beach on Saipan. The Mariana Islands are home to Pacific Islander and Asian communities. The EPA also noted the lack of a thorough analysis of environmental justice issues. The Navy says that the project poses no significant impact on environmental justice because all residents would be affected equally by training. Determining whether there’s an environmental justice problem is “complicated” by the fact that the Mariana Islands are uniquely capable of meeting training needs, the Navy wrote. Still, the EPA says the Navy should compare the effects of the training on Tinian, a low-income Pacific Islander and Asian community, to what they would be for the general U.S. population. Did The Navy Bother Looking Elsewhere? 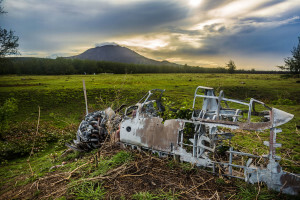 While the lack of data or mitigation measures on historic, environmental and socioeconomic impacts is problematic, critics say that the biggest hole in the Navy’s proposal to ramp up operations is the absence of alternative places to train outside the Marianas. 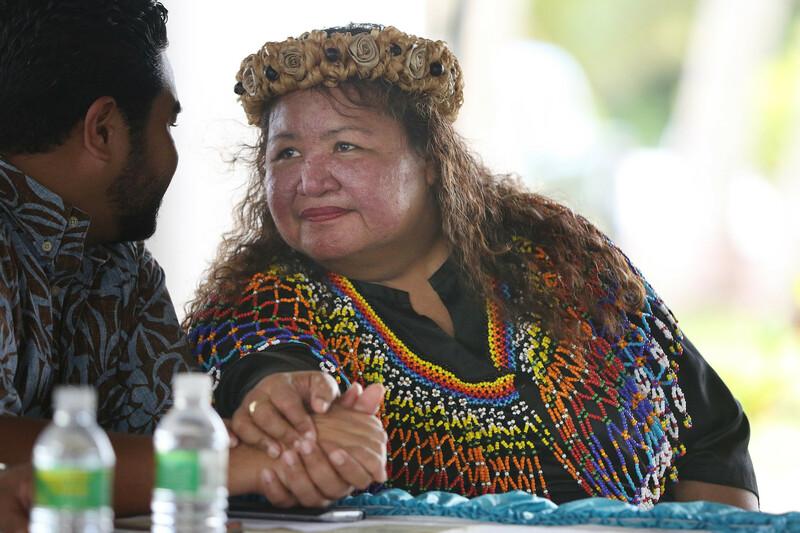 Cinta Kaipat, an attorney and activist who is part of Alternative Zero Coalition, grew up on Pagan. Whelden says previous studies have shown that there’s a need to increase training in the Mariana Islands, and Tinian and Pagan are the only islands in the chain that are conducive to the type of training that the Navy needs to do. Both have maneuver areas and beaches for amphibious assault practice that aren’t present on Farallon de Medinilla, an island in the Marianas that the Navy has been bombing since 1971. “It was determined that the CNMI had the greatest (training) shortfall particularly in light of the fact that 5,000 Marines are going to go to Guam,” Whelden says. Still, the sea of documents explaining each of the proposals has been overwhelming to residents like Cinta Kaipat, an attorney and activist on Saipan. Kaipat also says the jargon in the military’s environmental studies makes it hard for her to understand what is being proposed. She says that’s a challenge for many people in the commonwealth, where wages are low and it’s common to speak English as a second language. Only one proposal, the Guam and CNMI Relocation plan, has been fully translated into Chamorro, an official language of Guam and the commonwealth. None has been translated into Carolinian, another official language in the commonwealth, or Tagalog, one of the most commonly spoken languages in the islands. A boat sits in the water off of Saipan. Although most of the military training is happening on Pagan and Tinian, some Saipan residents may suffer noise impacts and critics say the Navy needs to provide more data on that issue. Whelden says the Department of Defense has held dozens of informal meetings with local officials about plans to add live-fire training ranges on Tinian and Pagan, and provided interpreters at public meetings about the proposals. The Department of Defense has also sought to quell confusion by consolidating its communications with commonwealth officials through Pacific Command rather than continuing to have each military branch address individual projects. Critics like Adams say the Navy needs to rectify the data gaps in its environmental analysis to ensure residents have a clear picture of what the impacts will be. “For the Navy to put out there the analysis that it did, is shameful, it makes a mockery of the whole process,” he says.